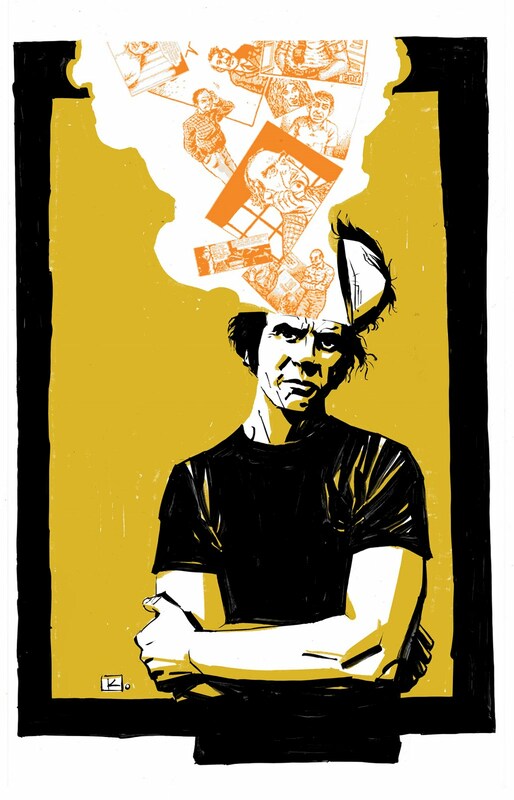 I never knew or met Harvey Pekar, but I am definitely a fan of his work. He was able to find the interesting truth in everyday occurrences. 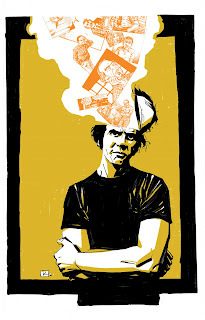 Excellent illustration and tribute Andy. I think it's your best post yet! Really impressive in every way. wow! coming from you that means a lot. thanks, dan. I'm with Dan, this is my new favorite! So who've we got in the clippings? Crumb, Haspiel and Lapham? I agree with everybody's comments: This is your best twart yet. Great technique and concept. Such a great concept and even better execution, Andy!